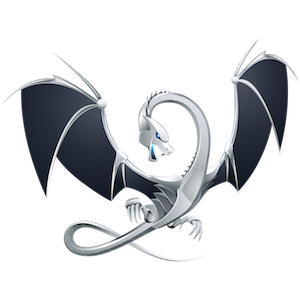 Updated on 2012/02/21: Apple has released Xcode 4.3 since a few days and has updated Apple LLVM compiler to 3.1. This version solves the armv6 issue, and now I can compile using Apple LLVM even for 3G iPhones. Finally, I’ll be able to use ARC! Xcode 4.2 doesn’t like armv6 (ie pre 3GS devices), it’s a fact. If you don’t want to target iPhone 3G that’s fine. But if you want to continue supporting your 3.x iPhone 3G customers, this is a problem. In this case, best practices are to set the BASE_SDK to Latest and set the DEPOYMENT_TARGET to 3.x (Go to Project -> Build Settings and look for iOS Deployment target). Doing this, you app will link against the latest SDK, your iOS 5 customers will be able to use the shiny new iOS 5 features (Hello iCloud, Newsstand), and your iOS 3.x customers will be able to download your app. Provided you’ve removed the armv7 UIRequiredDeviceCapabilities, and you’ve checked that no code path requiring iOS > 3.x is hitten by your 3.x client, everything should be OK. Except, that Xcode 4.2 have, again, bring some modifications. warning: iPhone/iPod Touch: application executable is missing a required architecture. A side note, Architectures and Build Active Architectures Only are two different settings and you should set the latter to NO, in Debug and in Release. So, now, you’ve remove armv7 UIRequiredDeviceCapabilities, you have force the compiler to build for armv6 and armv7 architectures, you app builds fine and the pre-validation tool doesn’t complain anymore, everything is cool. I’ve tried Meon on a real 3G device. While the previous version of Meon runs fine on a old device, this version has suddenly became sluggish, with strange bugs that I’ve never seen before, CALayer alignment and hitting problem, and most important perfomances problem. Some searches with in the official Apple forum , and also, of course, in Stackoverflow  points issues with Apple LLVM 3.0 new compiler (codename Clang) and armv6. It seems that the Clang front-end parser has issues with certain data structures (CGPoint, CGRect…) and can produce buggy armv6 code generation and optimizations. If your code is dealing with CALayer and/or CoreAnimation, you can have some troubles on 3G devices. The sneaky part is that you may not see it if you’ve compile in Debug, where most optimizations are disable. One possible solution is to add the -mno-thumb to your project, or to simply use the other possible compiler LLVM GCC 4.2.